The 10 Best Cake Shops in Kentucky! Cake making is a creative culinary art and you don’t want an amateur designing and decorating that special made-to-order confection. 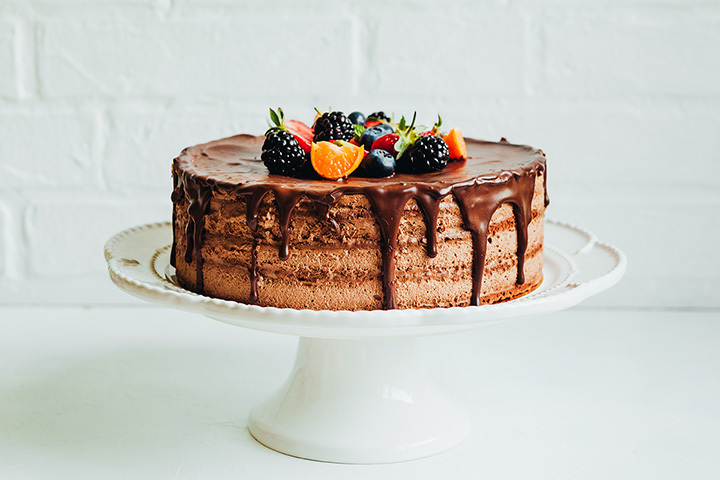 It’s good to know that there are plenty of highly recommended cake shops throughout Kentucky that can provide the perfect cake for your special occasion. Here are our favorites. The all-inclusive price per slice gets you any flavor cake and filling on the menu and buttercream icing. The friendly folks at Bit of Whimsy Cakes in Richmond, Kentucky understand that a cake is more than just a cake. Designed for whatever special occasion you have in mind, your cake is a work of art that represents who you are or what the event is. There are so many delicious cake flavors like the signature vanilla to lemon blueberry, key lime, pink champagne, bourbon pecan, and pumpkin spice among others, and you can add a filling like raspberry cream, chocolate mousse, peanut butter or mint chocolate chip. The finishing touch is the icing, which comes in flavors like creamsicle, coconut buttercream, cinnamon caramel, and white or dark chocolate make a truly memorable cake. Passion is what drives the bakers at European Delights Bakery in Nicholasville, Kentucky. Offering specialty cakes and other desserts with an international influence has been the goal of this family-owned bakery since it opened and has continued to the next generation. Pastries are made fresh each morning and only the best ingredients are used in everything they produce. Open every day except Sunday, stop by and sample their wares, then look at the online menu that features cakes for every occasion. Plehn’s Bakery is a fourth generation family-owned business located in the Louisville area of Kentucky and has been creating cakes, cupcakes, bread, buns, cookies, and other edible delights since 1924. Many of their baked items, including every day and seasonal cakes are ready to pick up and go each day, and specialty cakes are only an order away. They do a wide variety of specialty cakes and no two are the same. Open every day. Love brought owners Cameron and Tracie together and love keeps Tinker’s Cake Shop in business. The love of creating beautiful weddings cakes, that is. The artsy cakes that come from this little cake shop in Lexington, Kentucky are made from scratch and taste as good as they look and combine lacework, scrollwork, pearls, flowers, and edible monograms. A free consultation can be scheduled to discuss your needs and create the perfect wedding cake, and delivery is included in the fee. When Magee’s Bakery opened their doors for the first time in 1956, they produced the best baked goods in the Lexington, Kentucky area. Nothing has changed and they’re still known for great freshly baked cakes, cookies, deli sandwiches, and pastries. Open every day, Magee’s has a comfortable atmosphere and the best coffee in town. Stop by for breakfast, lunch, or dinner, and take home some fresh baked goodness. If you need a special cake for a birthday, anniversary, or other occasion, check with Magee’s. They have a variety of flavors and buttercream icings. Custom cakes are the house specialty at Louisvillicious Cakes & Desserts, and one visit will tell you why. Cakes are designed by a talented and experienced pastry artist with a knowledge of food and a creative way to express what you want. They have a great variety of traditional flavors like vanilla, chocolate, and strawberry, but have more exotic flavors, too, like gingerbread, chocolate orange, caramel cream, and orange buttercream. What shape, size, or serving preference you have, they can help you design the perfect cake. Nord’s Bakery in Louisville, Kentucky offers sweet treats like fresh daily-made doughnuts, Danish, cakes, cookies, and pastries every day. The friendly staff is happy to answer any question you have about the ingredients, flavors, or pricing. Kudos for the great customer service because it definitely brings people back. Need a cake for your next special event? No problem for Nord’s Bakery. They have the expertise to make sure your order turns out the way you want it. Nothing could be finer than to order from Sweets by Cindy when you need your next cake. Located in Junction City, Kentucky, the long list of cake and cupcake flavors will blow your mind! Examples of the custom-made baked confections include apple mint, banana fireball whiskey, blue velvet almond, butterscotch bacon, Irish cream, maple barbecue, pumpkin chocolate chip, and more. Cake orders need to be placed in person and make sure to book 3-5 weeks for your order. Cake lovers in the Newport, Kentucky area have been enjoying their Fantasy in Frosting for over 40 years, thanks to Fantasy in Frosting, a bakery that specializes in decorating cakes for any occasion. If you’re a baker and need supplies or tools to do the job at home, they can help with that, too. They also offer Wilson cake decorating courses for all levels and one for kids. If you just love cake and want to stop by and pick you your favorite from the list of choices that include traditional favorites and not-so-traditional favorites, they’re open every day but Sunday. Gourmet cakes are taken to a new level at Sweet Lilu’s in Versailles. Central Kentucky is fortunate to have a great catering and bakery business that offers sweet choices for cakes, pies, cobblers, cookies, brownies, bars and bites, and tarts and truffles. No matter what size or occasion, they have a cake for you. They’re also open for breakfast, lunch, and dinner every day but Sunday. View more Kentucky Bakeries and Pastry Shops.